Long valued for its distinctive taste and multiple nutritional benefits, maple syrup has a versatile flavor that complements many spices, dishes and extracts. In both savory meals and sweet desserts, maple syrup enhances other ingredients and brings out flavorful undertones. Use maple syrup along with complementary spices to give your dish an exotic, unusual flair. Cinnamon bark's spicy, subtly sweet flavor tastes delicious when paired with maple syrup. The fragrant undertones of maple become more apparent in the presence of spicy flavors. 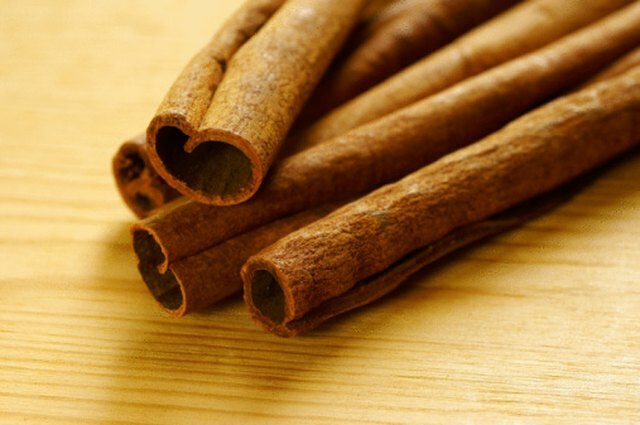 Consider using cinnamon in sweet dishes, such as breakfast pancakes or dessert breads. Alternatively, sprinkle cinnamon into maple glazes for ham. Cinnamon is also an ideal addition to maple-enhanced baked beans. 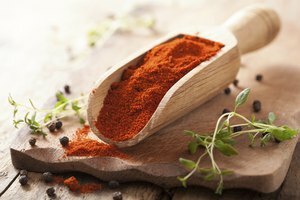 Use freshly ground cinnamon bark for the most-effective flavor. In India, where the maple-like herb known as fenugreek dominates the culinary scene, cooks frequently turn to cardamon to enhance the flavors of curries and stews. Cardamon is a sweet spice with an intense, resin-like fragrance. It pairs nicely with with maple syrup in both sweet and savory dishes. Consider stirring a trace amount of maple syrup into curries, teas and stews made with cardamon, or use cardamon to enhance your maple-based desserts. Maple and cardamon work surprisingly well in potato dishes. The powerful flavor of thyme leaf boldly complements maple syrup in dishes of all varieties. 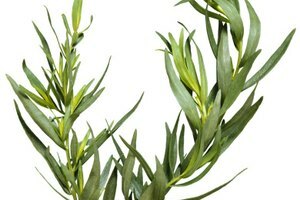 Use thyme with maple syrup in roasted meats, potatoes, vegetable dishes and other savory meals. Thyme and maple also pair well in seafood and baked beans. 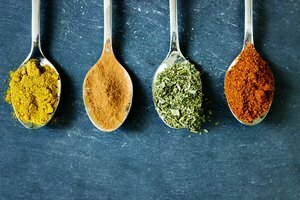 In general, fresh thyme is preferable to dried thyme when used in recipes; its most pungent flavorful compounds are most pronounced before it is processed or heated. Nutmeg's bitterness provides a complementary contrast against maple syrup's richly sweet flavors. In cream pies, dessert breads, and sweet dips, nutmeg creates a warm but slightly acrid undertone to enhance and balance maple syrup. 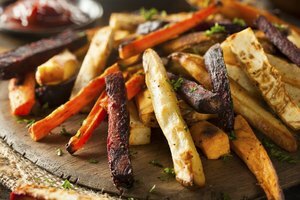 The two flavors also work well together in sweet potato dishes, squash, carrots and vegetable soups. 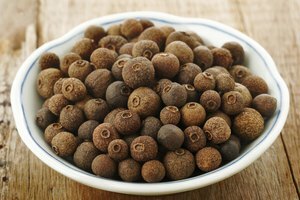 Use nutmeg lightly the first few times you cook with it. 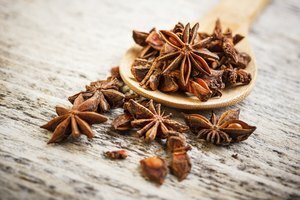 Too much of it can quickly make a dish overpoweringly bitter.